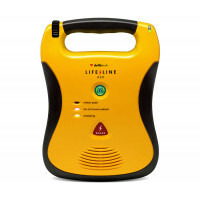 The Lifeline AUTO is a fully automatic defibrillator designed to analyze heart rhythm and automatically deliver a shock – without intervention – if needed. 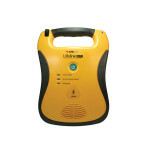 Saving a life could not be easier: turn the unit on and the AUTO will do the rest. If the unit recognizes that a shock is needed, it will automatically shock the patient. "Locate the AED!" Time is of the essence in a rescue. The highly visible yellow color makes the unit easy to locate and deploy. 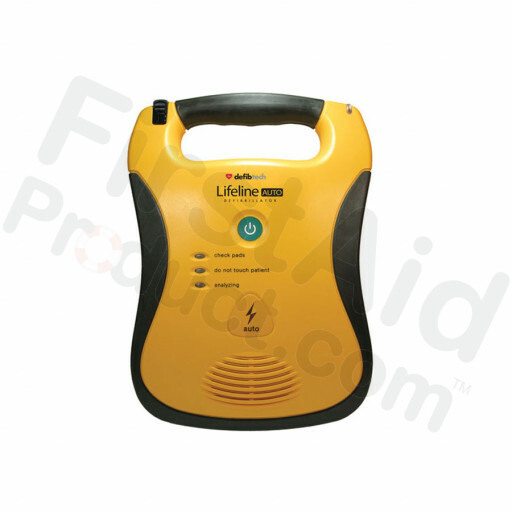 Compact, portable and lightweight Defibtech AEDs have won numerous awards for design and innovation. Extremely durable; manufactured to withstand dust and water ingress; tested to military standards for shock and vibration; jet aircraft and helicopter tested. The Lifeline AUTO uses biphasic technology, a clinically proven waveform and algorithm to deliver shocks and save lives. 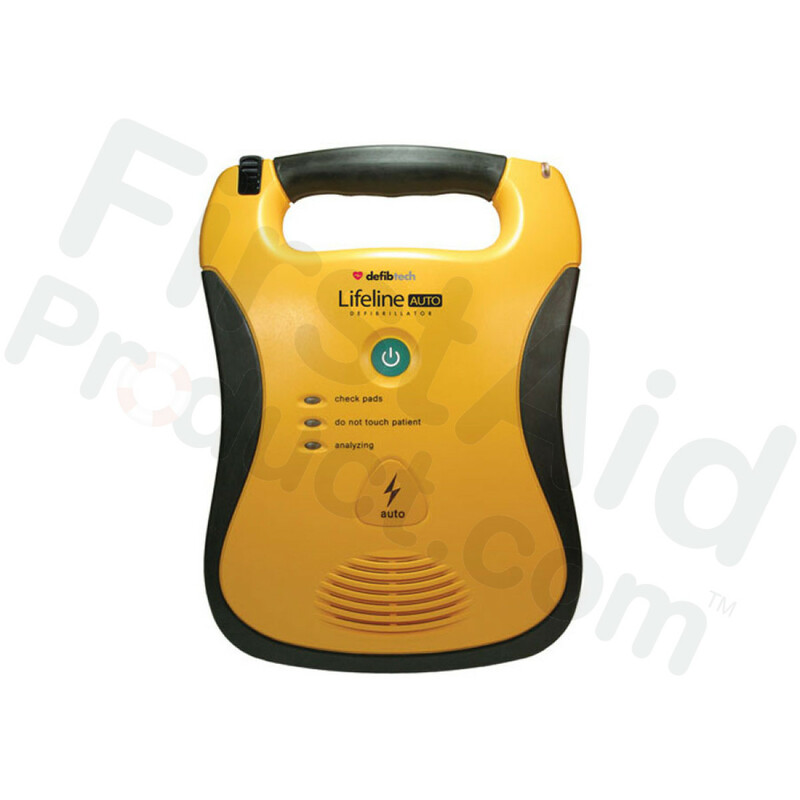 This is one of the most widely used impedance compensated waveforms which has extensive clinical experience-and success-in thousands of defibrillators around the world. Evaluation in hundreds of publications has demonstrated this technology to be the safest and most effective when it comes to saving lives. 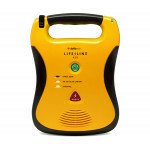 With more than 160,000 units in the field, Defibtech has drawn accolades for its commitment to save lives by producing the best AEDs medical technology can offer. Defibtech is an industry leader with sound technology and sound finances that constantly drive research and innovation to the next level of excellence. 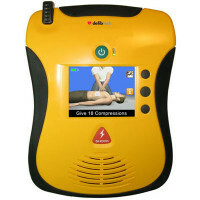 Defibtech AUTO AED - 7 year battery. Defibtech LifeLine AED - 5 year battery ~ Great Price! 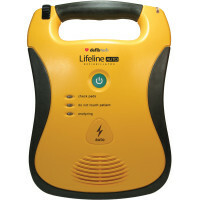 Defibtech LifeLine AED: 7 year battery... Just a few dollars more to upgrade to 7 year Battery!